Bitcoin trading can be very enjoyable and lucrative at the same time. It offers a variety of benefits in comparison to other trading markets. Peer-to-peer markets offer traders low priced trading with the freedom to trade very securely, and on top of that, you will know that the odds are not heavily stacked against you because of the advantages enjoyed by larger financial institutions. It is very difficult for regular retail traders to trade via traditional trading markets and the investments they tend to make or plan can often feel like they are gambling everything away at a casino – and we all know what happens most of the time at casinos: the house wins. However, when you talk about Bitcoin trading, the tables can be turned to benefit all regular traders. How, you ask? Well, mainly because of the volatility in Bitcoin trading. Although the volatility levels associated with Bitcoin trading are potentially risky, the rewards are considerably bigger than the risks. This is the only reason why most people choose to trade on Bitcoin and many have prospered financially in the Bitcoin market. Bitfinex is one of the very few Bitcoin platforms which allow traders to have complete access to ‘leverage’ using marginal trading, and it also offers you the opportunity to use your funds in order to liquidate other traders with a set amount of interest fee. The Bitfinex trading tool permits traders to efficiently trade using more money than they actually have, which gives you the advantage to collect profits made on your investment, but it also increases your losses if you happen to make a bad call. For example, if you have invested $100 to take a ‘long’ stance on Bitcoin with 10 times the leverage, and you see that the price of the Bitcoin increased by 5%, then instead of making a $5 profit off your $100, you can actually make $50. Sounds implausible? Well, it really is not, because Bitfinex borrows an additional sum of money from liquidity providers and utilizes it to purchase the Bitcoin. What this does is increase your potential profits, but at a cost, of course. 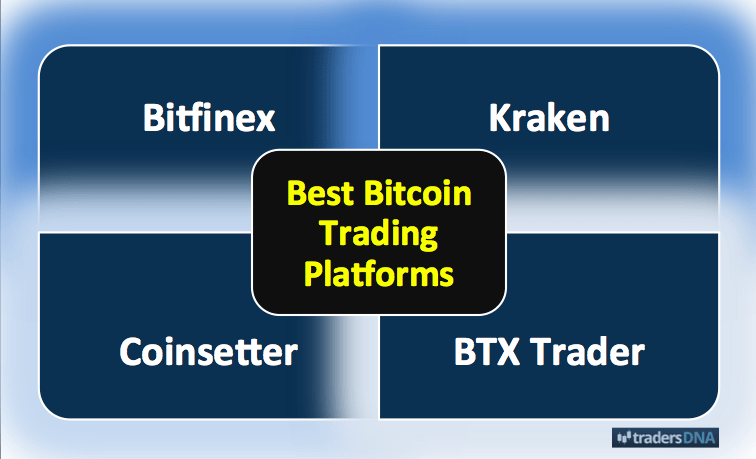 Kraken provided Bitcoin traders with a variety of trading options, all associated with Bitcoin. For example, it offers Litecoin, Dogecoin, Ripples, and various other digital currencies which you can trade with, and make a profit in USD OR Euros. Moreover, with Kraken, you are not limited to trading Bitcoin in limited orders. You can set up or automatically purchase or sell Bitcoins and other digital currencies at a percentage above or below the set market price. Your trades can also be automatically closed at a specific profit range, which you can set either as percentage or as a fixed amount. Traders can also automatically set trailing close, stop, and a number of other options. This revolutionary trading platform also has a sliding scale fee system. This means regular Bitcoin traders who do enough trading and make substantial profits to meet their targets will get gradual reductions in their trading costs. With most platforms offering trading fee up of to 0.1%, Kraken offers investors free trading options. Coinsetter allows you to trade with specific institutional investors who have the ability to spend substantial amounts of money. This is a feature offered only by Coinsetter, which makes it the first of its kind. Coinsetter offers its traders a deep order book, which means that investors can trade big sums of money without buying or selling above or below the market price. This is done through an amalgamation of the native order book with various exchanges allowing traders complete and quick access to the most popularly traded exchanges. BTX Trader specializes in providing traders with a multitude of different and advanced order types, which include stop loss orders and trailing stop orders. However, BTX Trader also has another very beneficial trading feature, one which very few Bitcoin platforms have, and that is its ‘hidden orders’ feature. The hidden orders feature allows a trader to make a limit order on the Bitcoin market which other traders will not be able to detect. 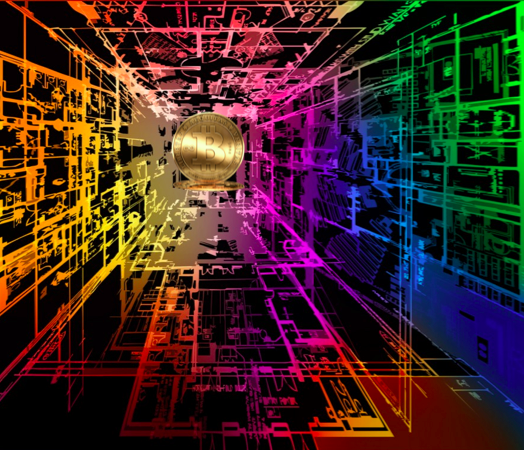 This is particularly advantageous in thin market settings or markets which have considerably limited liquidity and volume, such as the Bitcoin market itself. However, you can use this hidden feature to make larger trades which have the power to swing the volatility of the Bitcoin market. The best part about this feature is the fact that your offer will never be able to influence another trader, because they will not be able to see it. So, these are some of the more popular Bitcoin trading platforms that you can trade on effectively.